From the author of Half Baked Harvest comes her second cookbook with 125 show-stopping recipes made simple: fewer ingredients, fool-proof meal-prepping, easy entertaining, and everything in between. Tieghan Gerard is known, both on her blog and in her debut cookbook, Half Baked Harvest Cookbook, for her stunningly beautiful meals and thoughtful recipes that taste even better than they look. Half Baked Harvest Super Simple takes what fans loved most about her debut, and promises all of those comfort-food forward, freshly-sourced recipes distilled into quicker, more managable dishes using trending techniques that sell--whether made with the almighty Instant Pot, in one pot, or prepped the night before. Super Simple is the compendium for home cooks who are just starting out or pressed for time. It teaches the most important cooking basics and delivers sometimes good-for-you, always hassle-free meals without sacrificing taste. Whip up everyday dishes like Cardamom Apple Fritters, Spinach and Artichoke Mac and Cheese, and Lobster Tacos to share with your family, or plan stress-free dinner parties with options like Slow Roasted Moroccan Salmon and Fresh Corn and Zucchini Summer Lasagna. 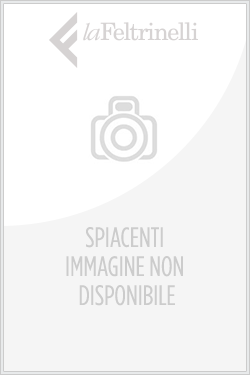 Acquista Half Baked Harvest Super Simple in Epub: dopo aver letto l’ebook Half Baked Harvest Super Simple di Tieghan Gerard ti invitiamo a lasciarci una Recensione qui sotto: sarà utile agli utenti che non abbiano ancora letto questo libro e che vogliano avere delle opinioni altrui. L’opinione su di un libro è molto soggettiva e per questo leggere eventuali recensioni negative non ci dovrà frenare dall’acquisto, anzi dovrà spingerci ad acquistare il libro in fretta per poter dire la nostra ed eventualmente smentire quanto commentato da altri, contribuendo ad arricchire più possibile i commenti e dare sempre più spunti di confronto al pubblico online.